Paperback, 6.75 x 9.25 in. / 192 pgs / 150 color. The harnessing of solar energy via photovoltaic (i.e. solar electrical) technology has become one of the world's highest priorities, as dwindling oil resources compel nations all over the world to reconsider their energy policies. Soon, many countries will be able to produce as much as 25 percent of their electricity through photovoltaics--that is, if architecture can rise to the challenge and integrate its visual and design language with that of photovoltaic systems. This challenge has already been tackled in a huge variety of projects, and Energizing Architecture presents the full range of possible photovoltaic modules, using realized buildings as examples. 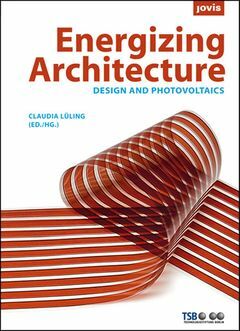 Intended for planners, architects and anybody concerned with the field of environmental design, it provides an index of all relevant materials, and demonstrates that the integration of photovoltaics into architectural practice can be achieved with aesthetically pleasing results. FORMAT: Pbk, 6.75 x 9.25 in. / 192 pgs / 150 color.